“Friday Night Lights” meets the popular NFL franchise. To say that I miss NCAA Football games is a massive understatement. Those games were my respite from classwork in college and continued to be a staple in my library for a few years after. Of course, EA hasn't made a college football game since 2012 after a pricey lawsuit over the use of athletes' likenesses in the franchise. Thankfully, the studio is giving us a new option for amateur football glory this fall via Madden 18's "Longshot" story mode. "Longshot" follows Devin Wade's attempt to finally make an NFL roster after being the forgotten high school and college football star. The cinematic narrative follows Wade as a kid playing catch in the yard with his dad and best friend Colt Cruise -- possibly the most Texas name ever for a wide receiver. And yes, the story is set in Texas, a state where labeling high school football "serious business" is a huge understatement. I'll admit the phrase "Clear eyes, full hearts..." crossed my mind a few times while playing this. Don't judge me, I'm only human. 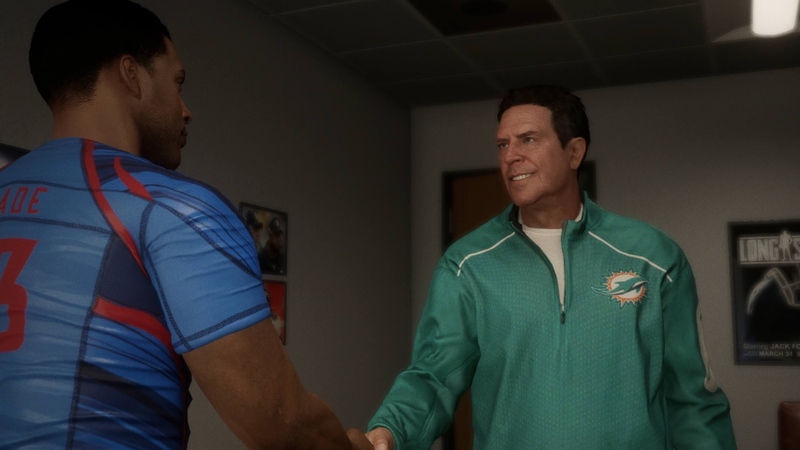 EA brought the franchise over to the Frostbite engine for Madden 18, a move that makes this narrative-driven first-person account possible in a sports game. If you recall, the studio did the same for FIFA 17 and introduced "The Journey" mode. 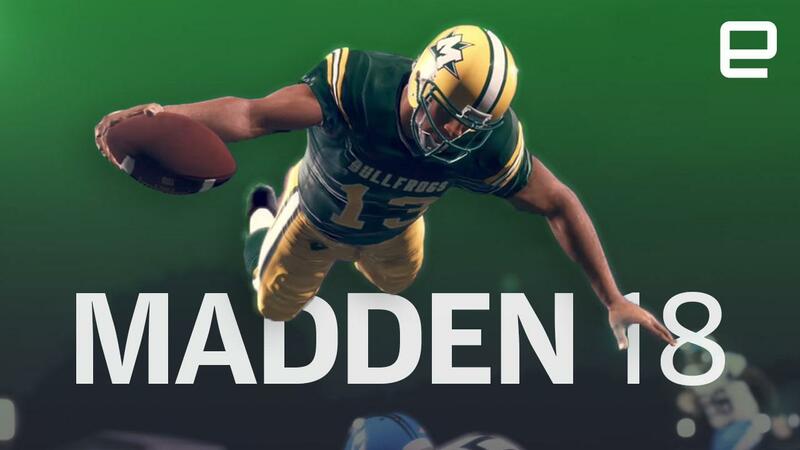 "Longshot" isn't simply "The Journey" brought over to Madden, though: There's a very different take on the whole "be the player" mode, tailored specifically to one man's final attempt to be drafted by an NFL team. Also, the game loads while you're going through the story. EA says the events won't be interrupted by a loading screen at any point -- a nice touch if you're trying to really get into the narrative. There are some big names playing roles in "Longshot," too. Academy Award winner Mahershala Ali (Moonlight, House of Cards, Luke Cage) plays Devin's dad, Cutter, who was also a big football star back in his day. The story also features an appearance by Dan Marino -- one of the all-time great NFL quarterbacks. Marino serves as a mentor to Devin along the way. In addition to playing catch in the yard as a kid, "Longshot" allows you to play as Devin in a number of different phases of his life. We're talking 7-on-7, high school games and the regional combine where he's trying to impress scouts. You do follow the QB to the University of Texas and see him in action versus the Oregon Ducks. Sadly, you don't get to play an actual college football game though. During my time with the story mode, I spent most of the session playing a high school football game. Insert your best Friday Night Lights reference here. Devin's team, the Mathis Bullfrogs, are down 21-0 and his coach has all but given up on the game. He decides to give the freshman quarterback a shot, knowing that it's probably best to just get through the rest of the second half and move on. Your task here is to direct a comeback as the young QB. EA makes it easy for you to focus on the task at hand rather than having to worry about formulating your own strategy. Allow me to explain. During this part of "Longshot," Madden 18 selects the plays for you so all you have to do is worry about making solid decisions and executing clutch passes. If you fail to score on a drive, the game saves your progress and allows you to give it another shot from that point. This is true for several other places in the narrative as well -- a feature that comes in handy when you're trying to make some tough throws at the scouting combine later on. Even with that bit of help, I'll admit to feeling the pressure during those few minutes. It's still not a cakewalk to try and win this game. You have to score a handful of touchdowns to win the game and you have to do so on Devin's big arm and his Cam Newton-esque ability to break tackles and elude defenders. Let's just say his size, speed and agility come in handy when it comes time to tuck it and run. The game play here is quite fun and the small-town commentators make the play-by-play even more entertaining. I really only had one gripe with this part of the story. Sometimes when Devin makes a pass, the camera stays with his view of the play. Sure, this makes sense as part of "Longshot," but it also makes controlling a receiver, tight end or running back after the catch more difficult. Here's an example. I made a pass to the running back out in the flat. After he caught it, I was still watching the play from the quarterback's perspective so I couldn't really see the best route to try and elude the opposing players. While the version of the game I played here at E3 isn't final, I kind of hope this is one piece that's tweaked so that you get a better view of the ball. You are trying to orchestrate a massive comeback, after all. Unfortunately, we'll have to wait until August 25th to judge the merits of "Longshot" in full. However, the pieces of Devin's story I saw here at E3 were enough to pique my interest. If Electronic Arts already hooked you, pre-ordering now gets you access to the G.O.A.T Edition and your choice of Tom Brady, Barry Sanders, Ray Lewis, Deion Sanders or Jerry Rice to tear up the turf. Another feature new to this year's game are "Mut Squads." You and your friends can assemble a superteam to take on other players online. It sounds interesting, but I wasn't able to take a look at it during my time with Madden 18. 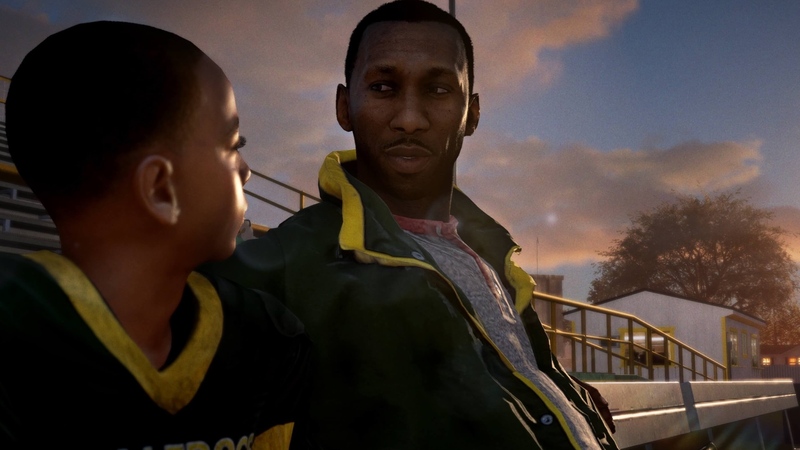 "Longshot" makes the most compelling case for a new version of Madden I've seen in a long time. I'll admit I get bored with some of these annual sports games arriving every year, but I think EA makes a compelling case with the narrative gameplay it added to FIFA and now to Madden 18. It's a big piece of the game that could go a long way to pacify players like me who dearly miss NCAA Football.